I first spotted these in Glow Magazine and knew that I had to get a pair. Designed specifically for party emergencies when you just cant stand to wear heels any more! I've tried 6-7, fits well though a little bit tight. So I went to bujy 7.5-8.5 which is a little long in length but more comfortable. I'm a Charles & Keith 37 or 38. I think these are real handy for those times you have to walk long distances or when your feet are just aching from all the dancing in the club. They are foldable, so its very convenient to carry around. Just pack them into the plastic holder they come with. I've recommended this to my mom too who bought a pair and finds it real useful. You can find these at Watsons stores, they only come in one color - black & the 3 sizes mentioned above. I got these from Shiseido previously but have yet to try it out till recently. What is special about these hair care range is the special ingredient; camellia oil. Camelia oil has been used in Japan for generations to soften, smooth, and protect the hair and skin. 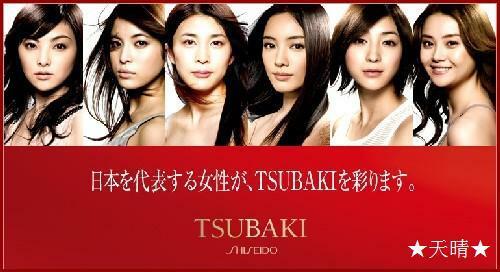 Shiseido Tsubaki uses the extract of the camellia raticulata seed to help rejuvenate overworked, listless, brittle hair. A fresh fragrance can be enjoyed by men and women, and is effective for thin and thick hair. 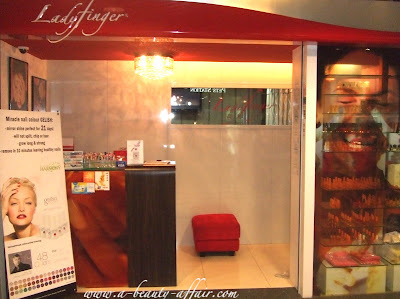 Ladyfinger brings to you the unique customer experience by providing a sanctuary for sheer indulgence and pampering. Customers are well taken care of with the most detailed attention from their professional manicurist. Last week, I got to try out the manicure & pedicure services of Ladyfinger The Nail Spa. Ladyfinger is the ultimate nail spa bar, winning the Best in Beauty award by Singapore Women's Weekly in 2010! The branch I visited was the one located conveniently at Jurong Point, just a stone's throw away from home. Look at my nails! Love them? Psst, I've got a bunch of promo codes for those of you who wish to try out their services for the treatments too! Often, we are envious of the beautiful features Caucasians have. Look at the Hollywood celebrities and their deep set, sparkling blue-green eyes and sharp features which most of us Asians can never dream of owning unless we pay a hefty sum to the plastic surgeon. I was browsing the net the other day, reading up on sun damage and protection. And this article by Lee Ann Sontheimer Murphy caught my eye. Knowing your skin type helps and can aid in preventing possible sun damage before its too late. There are apparently several skin type groups and some burn easily with high risk of skin cancer whereas there those such as Asian skin that are on the other end of the scale. "Type 1 skin is porcelain white. Type 1 always burns and never tans. This type skin has the highest risk of skin cancer and wrinkles more readily that other types. Most Type 1 skin owners will have red or pale blonde hair, be blue-eyed, have freckles, and be of Irish, Scots, or Welsh ancestry. Type 2 skin is light or fair but burns easily. Type 2 skin can tan lightly with repeated exposure to the sun but still carries a high risk for skin cancer. Hair is usually fair and eyes are often blue. Most have a Northern European heritage. Type 3 skin is still white but darker. Many of those with Type 3 skin are a racial blend and some Native Americans. Their skin sometimes burns and may tan to a light bronze but risk for skin cancer remains higher than average. Type 4 skin tans easily and less commonly burns. 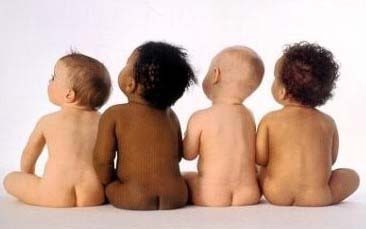 Most Type 4 skin people will be of a Middle Eastern, Hispanic, Asian, Native American or light complected African-American background. Hispanics and Asians with Type 4 skin are lighter than many others of their race. Risk exists but is minimal. Type 5 skin is darker and never burns. Darker toned Hispanics, Islanders, and many Asians have Type 5 skin. These have very little risk of skin cancer. Type 6 skin is dark. Most Type 6 skins have an African ancestry. Skin never burns and skin cancer among this group is very rare. All skin types, however, can benefit from sun protection lotions. 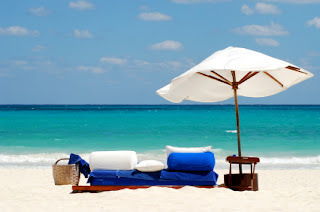 Lighter skinned groups should use a sun screen with an SPF of at least 15." I guess most of us fall under the Skin Type 4 & 5, it is indeed comforting in some way. 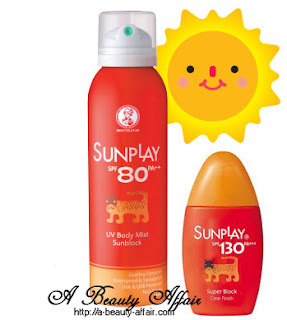 But we should not take this for granted and always remember to use sunblock! Last week, I got to indulge in yet another pampering facial. This time round it was at Leonard Drake (soon to be re-branded as AsterSpring) which I believe is well-known and popular among most ladies. However, it was my first time there though I have used a couple of Dermalogica products before. [GIVEAWAY] Zouk Complimentary Passes for you & your friends! If you & your friends wanna party away at the hottest club in town. Yes, I'm talking about ZOUK. For free? Yes, avoid paying the cover charge with these complimentary passes. I have 3 sets of 3 passes each to give away so that you & 2 of your friends can have a jolly good time together. Just head down to my FACEBOOK PAGE & post a comment. Tag yourself in THIS PHOTO to win not 3 but 5 passes instead!!! Psst... Get your friends to like my page too. Maybe it might help increase your chances of getting the passes. 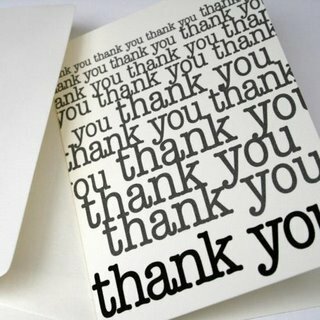 Hee, thanks, you know I love you guys! [ANNOUNCEMENT] Leonard Drake Opens Two New Outlets! (Rebranded as AsterSpring). Leonard Drake Skin Care & Health Spa centres in Hong Kong, Bangkok and Malaysia are known as AsterSpring. 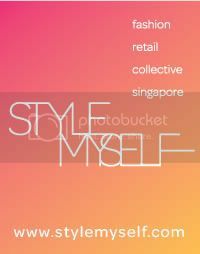 In 2011, the outlets in Singapore will follow suit in this regional alignment of rebranding Leonard Drake to AsterSpring in a matter of time. The move marks an exciting time by the same company owner (Esthetics International Group who owns Leonard Drake Skincare & Health Spa) in establishing the new name of AsterSpring for the Singapore market. Having been around for more than 26 years with 57 outlets regionally in Hong Kong, Malaysia and Thailand, we have helped over 1 million customers achieve good skin health, inner vitality and total wellness. Call any of the AsterSpring centres today to make an appointment! New Customer special offers are available!! My review on Viccal's serum will be coming up soon! 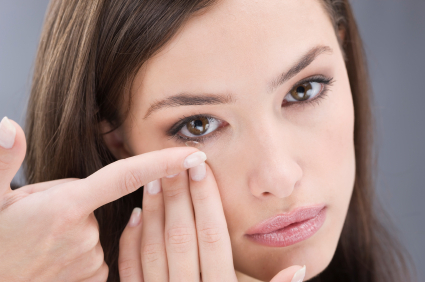 Do you know that poor contact lens care habits may lead to risks such as discomfort (dryness, redness, itchiness) and increase the risk for serious eye infections? It is estimated that there are more than 500,000 contact wearers in Singapore and about 200 cases of eye infection are diagnosed in every 100,000 contact lens wearers. Experts agree that compliance with proper lens care and regular eye checks at least one a year by an eye care practitioner is critical to maintain good eye health for contact lens wearers. 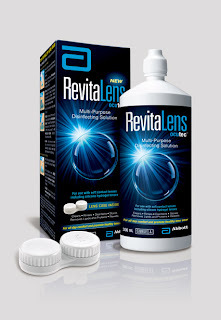 To address the problem of non-compliant contact lens wearers, there is a need for the development of next generation solutions which can remove a broader spectrum of potentially harmful microorganisms including Acanthamoeba which causes 90% of keratitis cases, in order to minimize eye infections without causing high corneal staining in contact lens wearers. 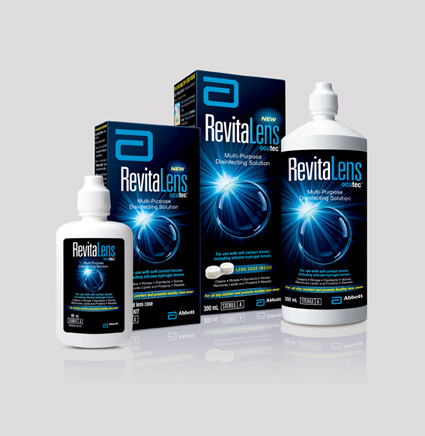 Abbott Medical Optics in collaboration with over 600 eye care professionals developed the new RevitaLens OcuTec Multi-Purpose Disinfecting Solution (MPDS) to address the extensive needs of contact lens wearers. With its unique OcuTec formula, the solution provides intelligent disinfection against a broad spectrum of ocular pathogens in the environment even under non-compliant conditions, minimizes ocular sensitivities for healthy and comfortable lens wear. RevitaLens OcuTec™ Multi-purpose Disinfecting Solution delivers high-quality disinfection and comfort for the user, with the convenience of a single bottle. The solution was developed in cooperation with world class silicone hydrogel, microbiology and chemistry experts and with input from more than 600 eye care professionals. To make your RevitaLens OcuTec™ Multi-purpose Disinfecting Solution work for you, it is important to adhere to the cleansing regimen with three simple steps. 1) Rubbing – Using a suitable multi-purpose disinfecting solution (MPDS) , place contact lens on the palm and rub both sides of the lens from the centre to the edges gently with your index finger. 2) Disinfecting – Soak your lenses in fresh disinfecting solution for at least 6 hours. Lens case should be cleaned after use and replaced every 1 – 3 months. 3) Rinsing – Rinse the lens with fresh disinfecting solution before wearing to refresh the lens surface and remove any traces of debris. 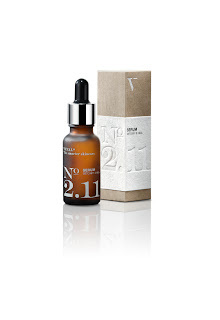 with the recommended retail price of $13 for 300ml bottle and $6 for 120ml bottle. Each bottle comes with a free lens case. 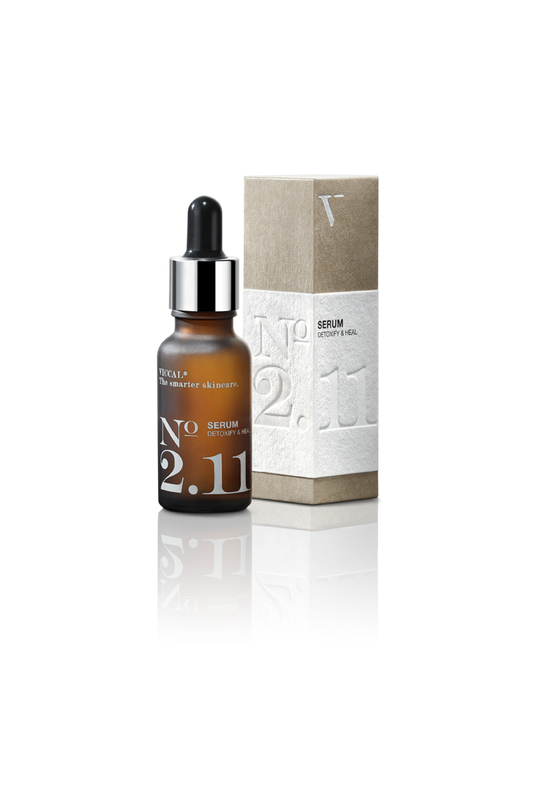 The product has been approved by FDA and was launched in the US in October 2010. 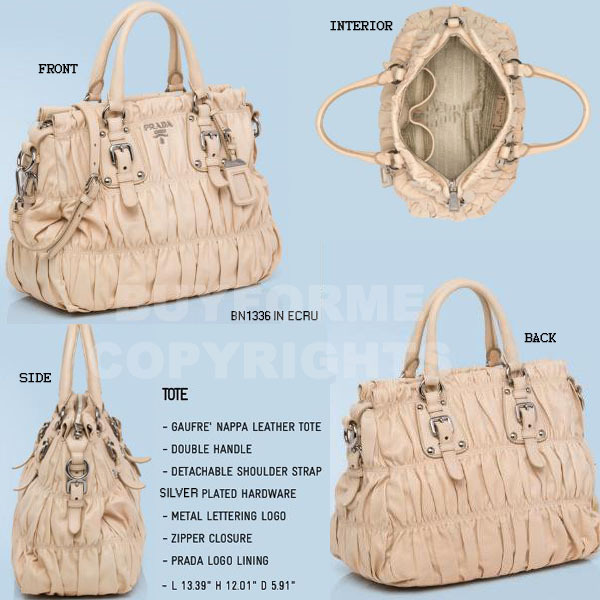 The product also has CE Mark approval in Europe and has been selling in Europe since September 2010. Meanwhile, do join their CONTEST & WIN PRIZES!